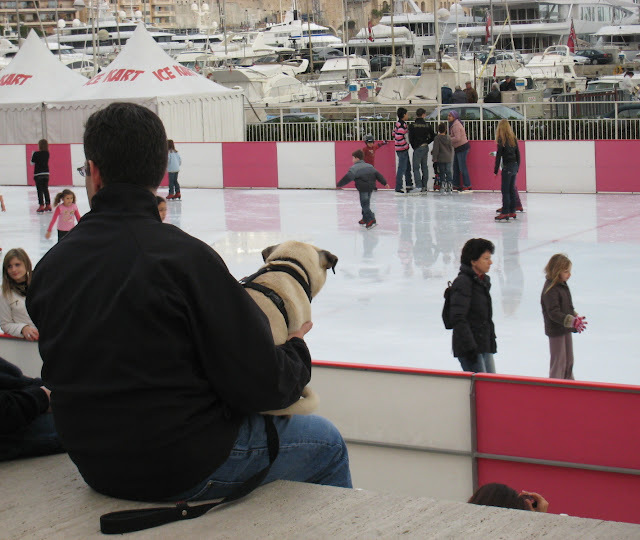 This little pug seems more interested than his owner in watching the skaters. This is the swimming pool in front of the main port - the very one the Formula One cars whizz around during the Monaco Grand Prix in May. For Christmas and well into January it is transformed into an ice-rink. If you'd like to meet Prickle, whose home is one of the most famous gardens in Menton - click on the link. What a fun shot. Some much going on to immerse oneself into! Thanks!